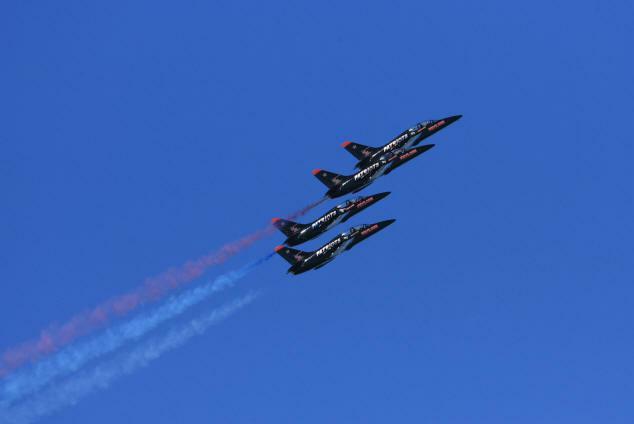 The first of the Patriots Jet demonstration aircraft were purchased in 1999 with additional L-39 Jets purchased through 2002. The aircraft were disassembled and shipped via truck, rail and sea in a 40' container from Europe to the United States. 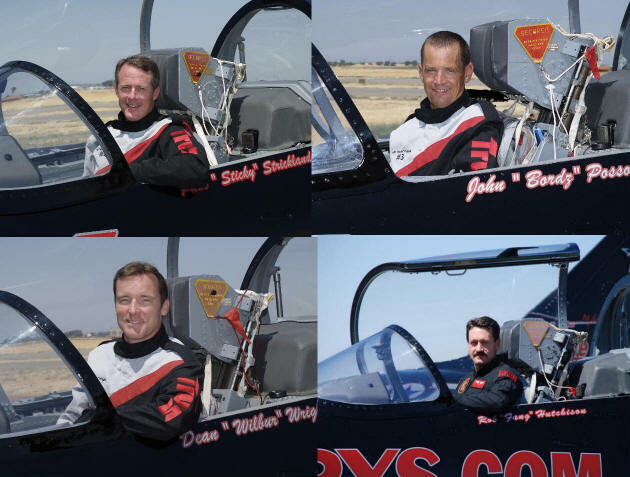 After painstaking restoration by the Airshows America team, The Patriots L-39 jets were modified for use on the air show circuit with upgraded avionics systems for navigation and communications, removal of excess weight for better air show performance, addition of a 25 gallon smoke oil system, and removal of their previous paint scheme. 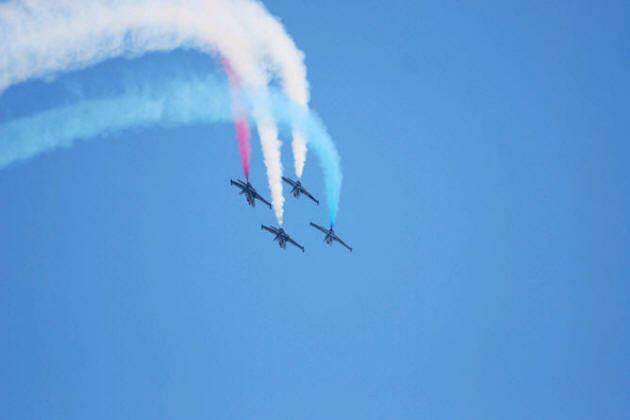 First debuting in 2003 as a two-ship team, the 2004 season saw the addition of a third aircraft creating even more fun and excitement at air shows. 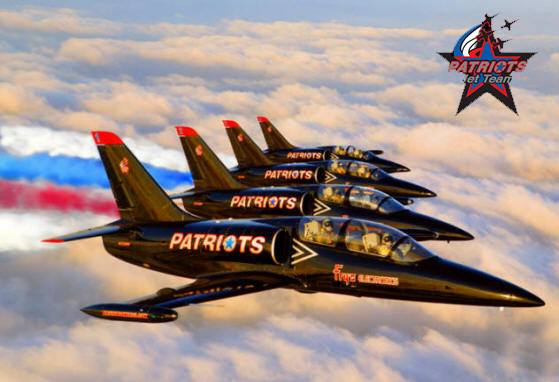 With the success of the 2005 season, the Patriots added a forth jet for the 2006 season bringing the performance to an entirely new level. 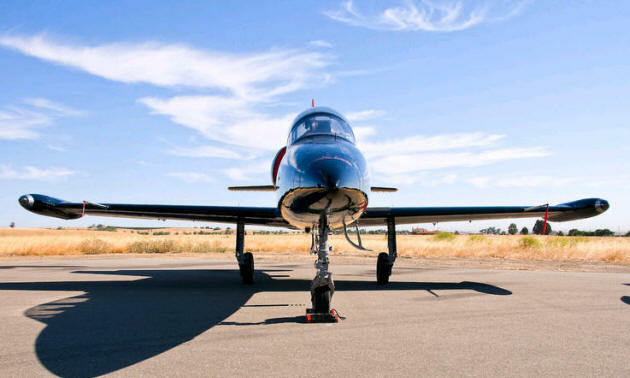 The Patriots team is in the process of restoring 3 more L-39's in their Northern California facility. 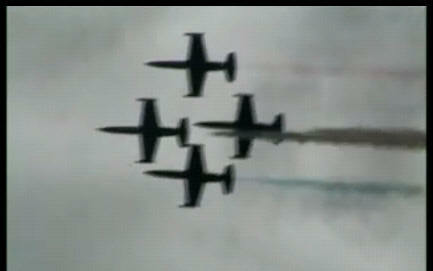 Future plans include the addition of 2 more jets in 2010 for a 6 ship team. 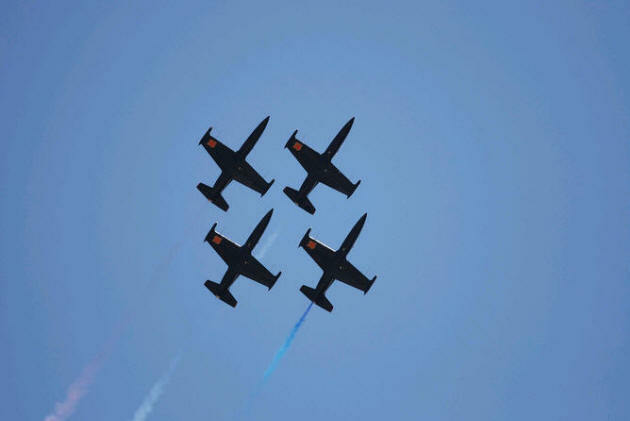 Sponsored by Fry's Electronics and Hot Line Construction, the Patriots L-39s have electrified spectators with fast paced formation flying, choreographed four-ship diamond formation aerobatic maneuvers and and their signature "Tail Slide" where the aircraft actually slides backwards toward the ground, something not performed by any other jet demonstration team. 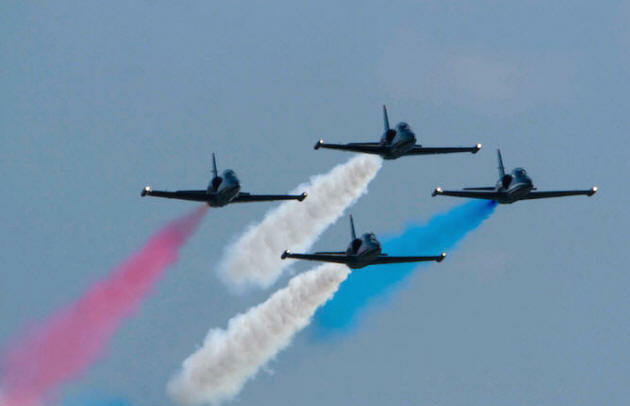 Performances highlighted by computerized red, white and blue smoke system are flown by lead pilot Dean "Wilbur" Wright, right wingman Rob "FaNG" Hutchison, left wingman John "Boards" Posson and slot pilot Paul “Sticky” Strickland. Click here for another great Patriots video! May take a moment to load.